On Friday July 20, 2018, two loads of blue barrels were transported by a white dump truck with a GA license plate to the storeroom of the Office of Disaster Management (ODM) at Jimmit. We have been reliably informed that these barrels were in a container at the port at Fond Cole containing relief supplies sent to Dominicans soon after Hurricane Maria . The shipping agency asked for the container and government had no choice but to empty it. The dozens of barrels were sent to the government in care of Ms Joanne Commodore, the Permanent Secretary in the then Ministry of Justice, Immigration and Labour. The supplies stayed in the container for several months and were left to spoil. Many of the canned food got punctured in the barrels because of the heat, releasing a very bad smell. 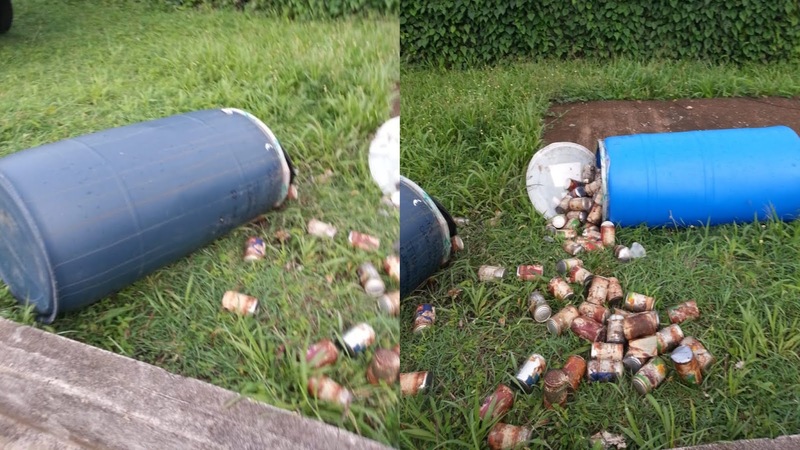 Because of the smell, two barrels were placed outside of the storeroom. Another sad indication of the government's mischief and chronic inability to promptly and successfully distribute the supplies. The pattern follows the government's long history of allowing donated supplies to expire in their possession instead of having them distributed to all needy persons. 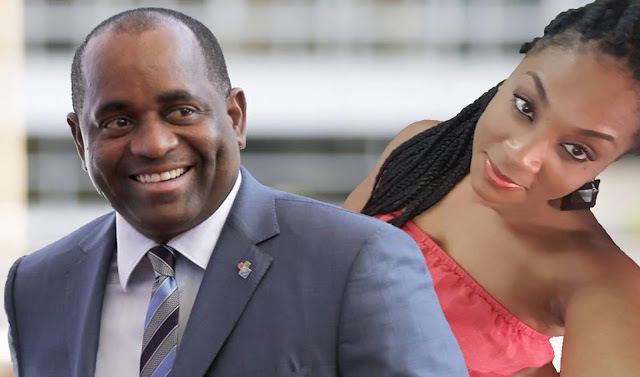 The Skerrit government and its foot soldiers have a reputation of keeping donations to themselves, and what they're unable to share with their friends, they either sell or discard. Who can forget the disposal of pallets of coffee beans from the plant in One Mile, or the generators being sold from Capitolin's place in the old Public Works building in Layou. Even our good friend, Reginald "The Rottweiler" Austrie has had supplies removed and discarded from his mansion in Toucarie. Just ask Coco with the truck where did he dump all the expired relief supplies of rice, flour and pasta he took from Austrie's home not too long ago and is there a possible link between what he removed from Austrie's home and the food supplies discovered dumped at Point Round? It happens in Kings Hill too, as evidenced by this video we recently obtained of a well-known Labourite in the act. This is a serious crime against the people who spent their hard earned cash to make the much needed supplies available and also against the people who were desperately in need of these supplies. Only a heartless, inept and dangerous government can allow relief supplies from generous and caring organizations and individuals to deteriorate in such a manner. How many more containers of supplies got to that stage? How many were dumped? How many more are still on the port waiting to be dumped? We are also hearing of relief supplies and money that were sent to specific communities and organizations and they are yet to receive anything sent in their names. Where are the funds and supplies? Is the government going to provide a report to the public? MiTC is calling on every Dominican at home and abroad, also foreign governments, institutions and individuals that provided relief supplies and funds after Hurricane Maria to demand from the DLP government detailed reports on the funds and supplies that they contributed to the victims of the hurricane. There should be transparent paper trails. Anything less should be unacceptable. Playing cheap partisan politics with relief supplies, especially in a time of desperate need is a sign of escalating political weakness and a malicious grip on failing leadership. Hurricane Maria saw no political colours, no ethnicity, nor religion. It affected everyone. So the assistance received by the DLP government should have been distributed urgently and fairly to the people in need. This current disgraceful situation going on at the ODM storeroom at Jimmit in a sickening demonstration of the Roosevelt Skerrit’s administration dont give a damn and politically driven attitude. Report updated to note the discovery of a recent dump site for supplies at Point Round.